We will pay home buyers $100 for each day we are late after the scheduled close of escrow date (excluding late closing due to any arising issues with the property). We will pay any lock extension fees incurred with a loan not closing on time due to our negligence. 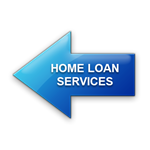 We give a 100% guarantee on the lender closing costs quoted at the time of locking in the interest rate. We will proactively communicate status updates so you don't have to chase us down. On purchase loans, these include our Tuesday & Friday afternoon color-coded "Countdown" updates.